Startup Estonia and Funderbeam, an Estonian company that is developing a startup investments and trading platform, have launched an Estonian startup database that is aimed at helping local startups attract more foreign investments. The new database that can be found on Startup Estonia’s web page lists over 400 startups with Estonian founders with their basic information, such as a short description of the main idea, industry tags, amount of investments raised and the development stage. It is possible to sort the startups based on the different data fields, which makes it an easy and user-friendly tool for finding startups in specific industries and development phases. The information in the database comes from the Funderbeam platform, where information for more than 150 000 startups across the world has been collected and organised. “We believe the new database will become an important and supportive tool for the local startup ecosystem, helping improve the visibility of the startups, especially in the eyes of foreign investors,” Mari Vavulski, the head of Startup Estonia, said. Startup Estonia is a government initiative aimed to supercharge the Estonian startup ecosystem in order to be the birthplace of many more startup success stories to come, such as Transferwise and GrabCAD have already become. 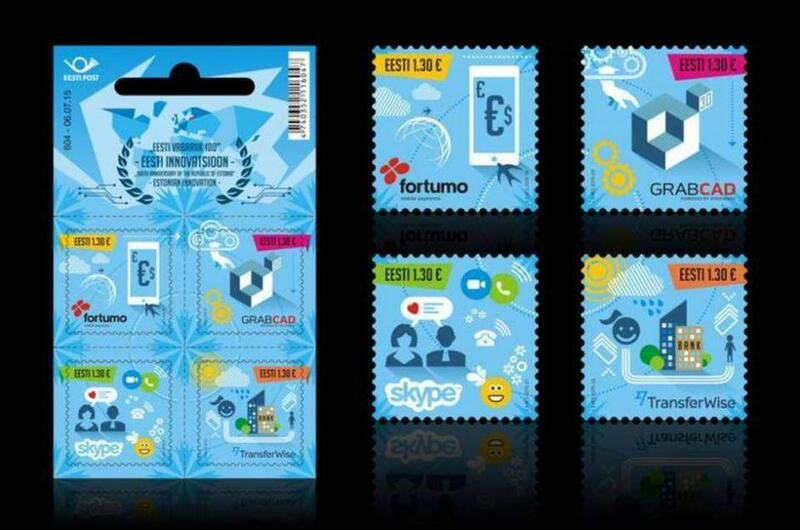 Cover: the startup culture is now firmly embedded into the Estonian society – last year, Eesti Post, the Estonian post and logistics company, printed stamps bearing the logos of most famous home-grown startups.